Sideboard with doors and drawers with push system opening and wood frame and doors. Clear glass inside shelves. Anodized aluminium base. 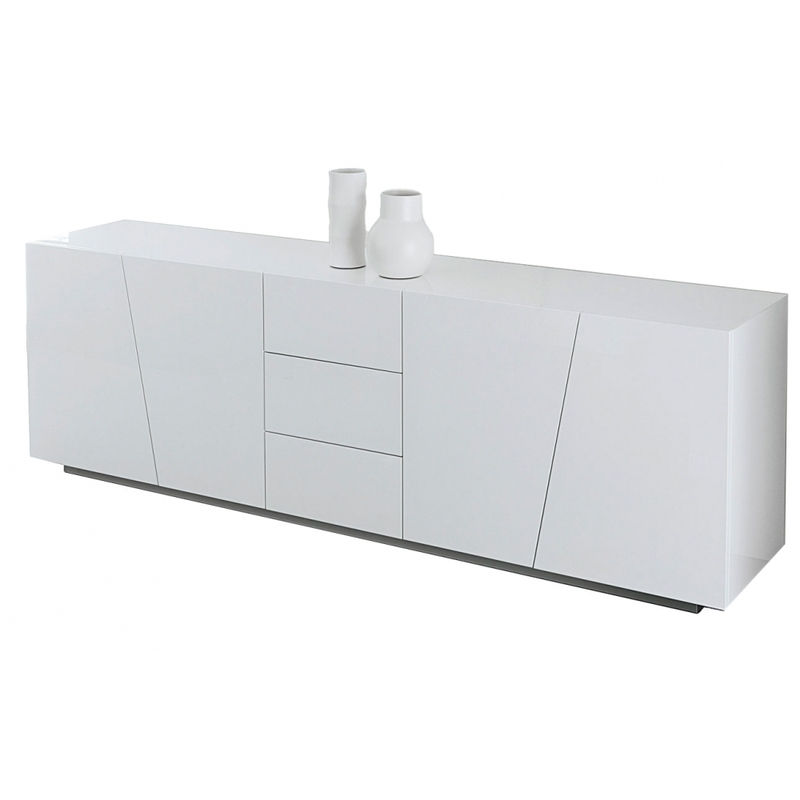 The concept of this sideboard apparently is rigorous and rigid, but actually dynamic thanks to the particular design created by the lines of the doors.